From there, well things just took off. The gorgeous plinth is made from Paduak . Along the way to bringing the turntable to fruition, I began to experiment with Power Supply/Speed Control units. I’d read about others using the Music Hall Cruise Control (retail $299) on the TD-150, and so I tried it myself. I was very impressed. As I have stated previously, there is something about these speed control units that makes the music jump right out of the groove. I hear the same thing on this combination. 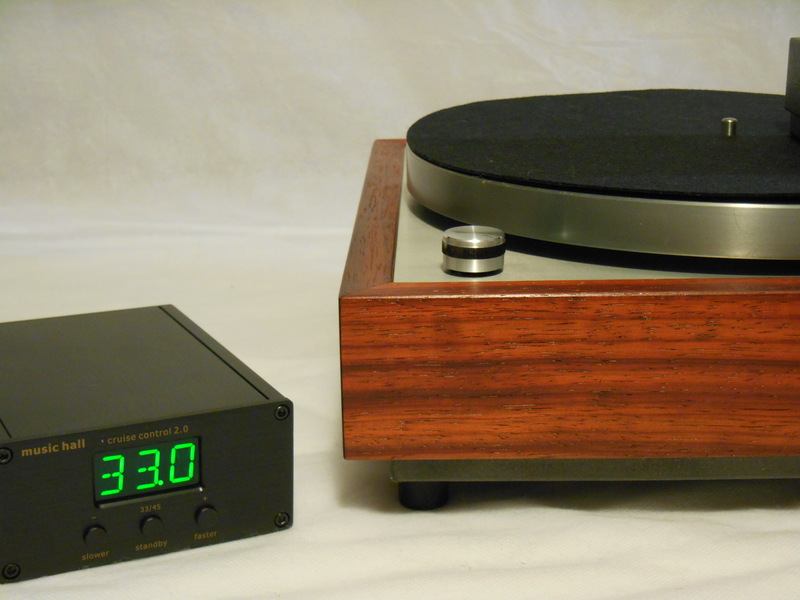 To round out the unit, and make this first one extra special, I installed a brand-new Rega RB-202 badged Moth with upgraded Cardas wire and clips, as well as excellent Art Pop RCAs. 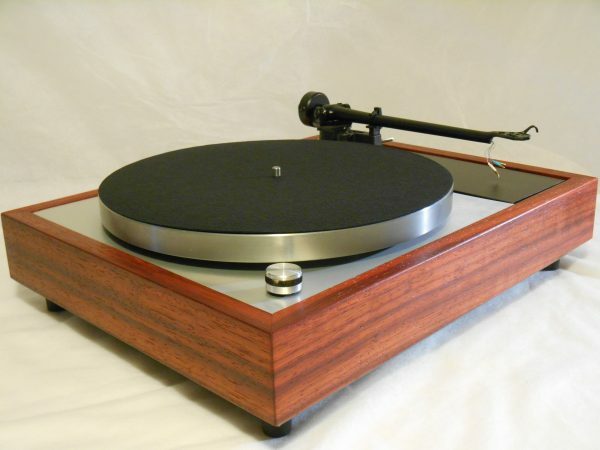 Cosmetically, this turntable is a solid 9.5/10 The 3/4″ solid Paduak plinth is brand new, as is the satin black armboard. The metal portion of the plinth is new also as I had custom plates made in burshed anodized aluminum. They look amazing! The new custom set-on style dust cover is included. 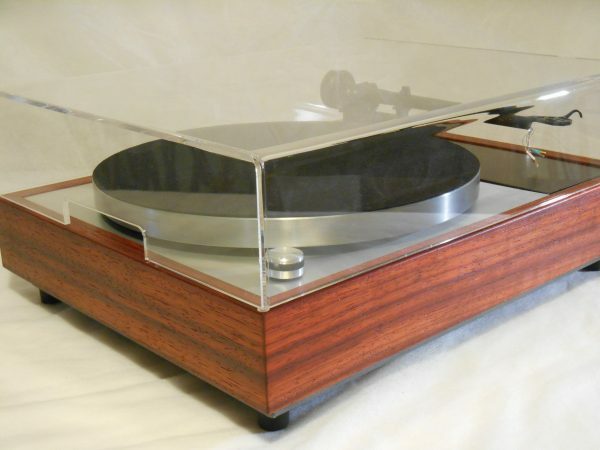 I said earlier that this was loosely modeled on the Linn LP-12. I would wager that at the fraction of the cost of a new LP-12, this transformed TD-150 would give even the present day Linn a run for its money. 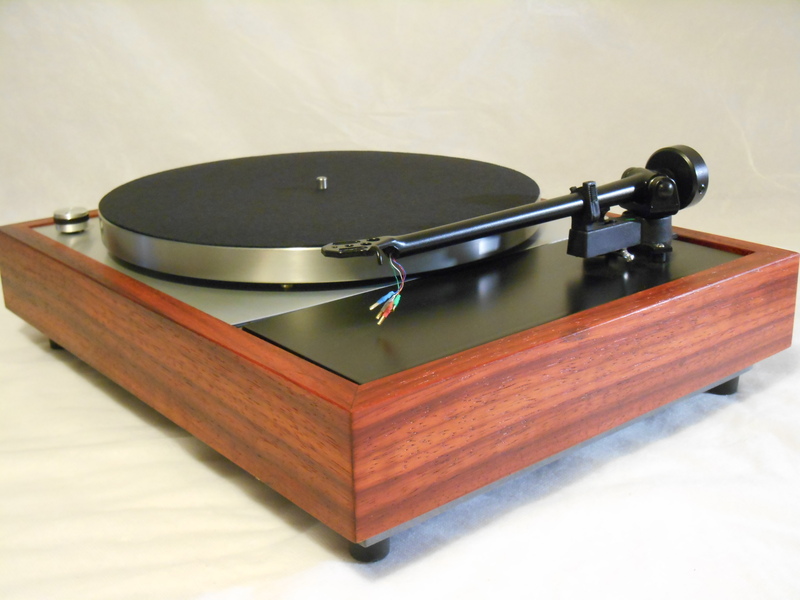 Rega arms are continually hailed for their performance and value. This new Rega RB-202, badged as Moth, is no exception. The new three point attachment design mounts the arm rigidly to the new black walnut armboard. The arm has been professionally rewired with Cardas wiring from clips to RCA. Clips are also Cardas and the RCAs are ART Pop. For this single package, I am including a new Dynavector 10X5 cartridge, one of the best reviewed cartridges of the past ten years. I rarely get to offer them anymore because they are ALWAYS out-of-stock. Here’s your chance! One of my goals with the VN-150 was to pack as much into a custom vintage turntable package at the under $1500 price point. To meet that goal, I left off certain items that definitely enhance the performance but wouldn’t allow me to keep the table at this price. To read more about the package, click this link.